Just a quick post to share some additional information that has turned up in the case of the Keith family. Though some descendants still seem to want to hang on to that last shred of hope that James Keith and Crane Eater were the same man, it is just not supported by the evidence. In 1835, James Keith was living in Meriwether, Georgia, outside the Cherokee Nation on land that was ceded by the Creeks. (Obituary for James' daughter, Cynthia) According to James Keith's grandson, William Loranzo Dow Keith, James was a full blood who was married to a white woman. This would have made their children mixed bloods. Also, the Cherokees who stayed in the East were found on various rolls (Chapman, Siler, etc...) None of the Keith family were found on these rolls, but were found on the United States censuses as white. In 1860, the instructions for enumerators were "5. Indians.-- Indians not taxed are not to be enumerated. The families of Indians who have renounced tribal rule, and who under State or Territorial laws exercise the rights of citizens, are to be enumerated. In all such cases write "Ind." opposite their names, in column 6, under heading "Color." " And, "9. Color.-- Under heading 6, entitled "Color," in all cases where the person is white leave the space blank; in all cases where the person is black without admixture insert the letter "B;"if a mulatto, or of mixed blood, write "M;"if an Indian, write "Ind." It is very desirable to have these directions carefully observed." The Keith family is found with the color space left blank. The only logical conclusion is they were white and were not known as or accepted as Indian, no matter what William Loranzo Dow Keith said in his sworn testimony. Also, there is a James Keith listed here (number 53) as receiving a land grant in the Georgia Land Lottery. Still researching this to connect the James Keith family to the James on this list. If it proves to be him, I don't see how the descendants can continue to carry on believing their ancestor was Cherokee since Indians did not receive land grants. 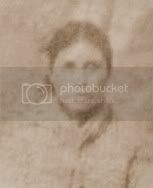 The fact, in light of all of the evidence that shows James Keith and Crane Eater were two completely different people, at least one descendant of the Keith family still clings to hope that this family proves to be Cherokee. They became condescending and rude when they read my original Keith family blog post and didn't see the story they wanted. They have continuously posted lies about me and attempted to make me look bad in any way they can. They have emailed the followers of my blog spreading untruths and they even went so far as to suggest people report me to the APG for being unethical. I am not even a member of the APG! Frustrating? Yes. Surprising? No. 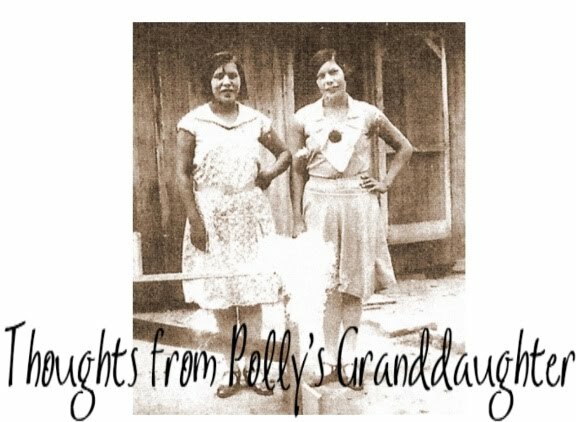 It is typical behavior for a person when their family myth is shattered and their ancestor turns out to be someone completely different than they hoped -- non-Cherokee. Anyway........if nothing else, it is a perfect example of the difference between a person searching for the truth in their ancestry and a wannabe. Those searching find the truth and move on whether they are Cherokee descendants or not. Wannabes never give up the search, no matter what the evidence says, and they resort to lies and attacks in their attempt to discredit a person who reveals the truth. It is quite sad and pathetic, actually. ...in the end it seems that the descendant is mirroring the behavior of the ancestor. Guess the apple doesn't fall far from the tree after all eh? How does David put it...after everything else is stolen, the final insult to injury is when the thief takes the only thing left...the identity. Came across your site as I'm researching Jim Keith, b 1880 OK. I'm not exactly sure if he's in my lineage or not, but I'm seeing where he's supposed to be Cherokee. I know to tread carefully in these waters and not make any hasty conclusions for exactly the reasons you listed. People want to believe or worse, have an ulterior motives, to have Indian blood in their lines. In my case, everyone claimed to be white when quite obviously they weren't. I'm piecing together scraps here and there, frustrated by documentation and lack thereof.